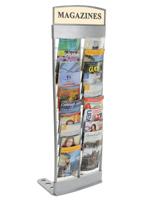 This Magazine Rack has a Silver Finish for Easily Blending in with Any Location. 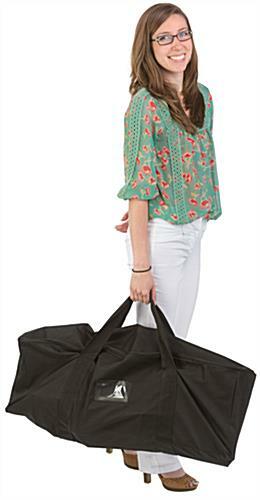 Purchase by 1pm EST to Receive Same Day Shipping! 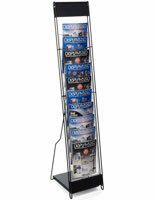 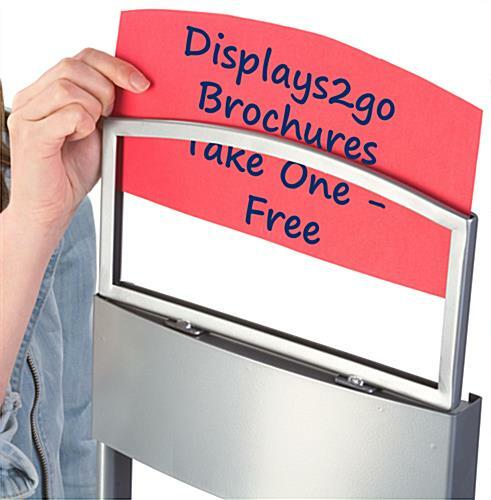 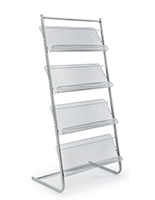 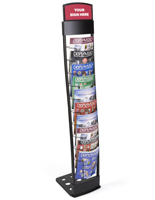 Silver Folding Magazine Rack- Perfect for displaying your 8.5"x11" literature to potential clients and customers. 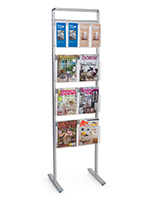 Three pieces snap together to for this 10-pocket magazine rack. 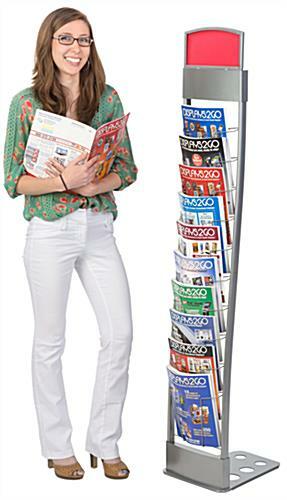 Each pocket is 9.25" wide x 12" high and 0.75"deep. 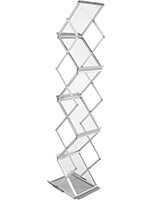 Each piece is constructed from silver finish steel and is easily taken apart for transportation and storage. 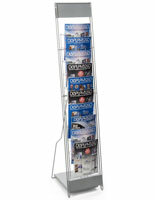 The magazine rack includes a carrying bag to hold all three pieces and there are no easy-to-lose small parts.